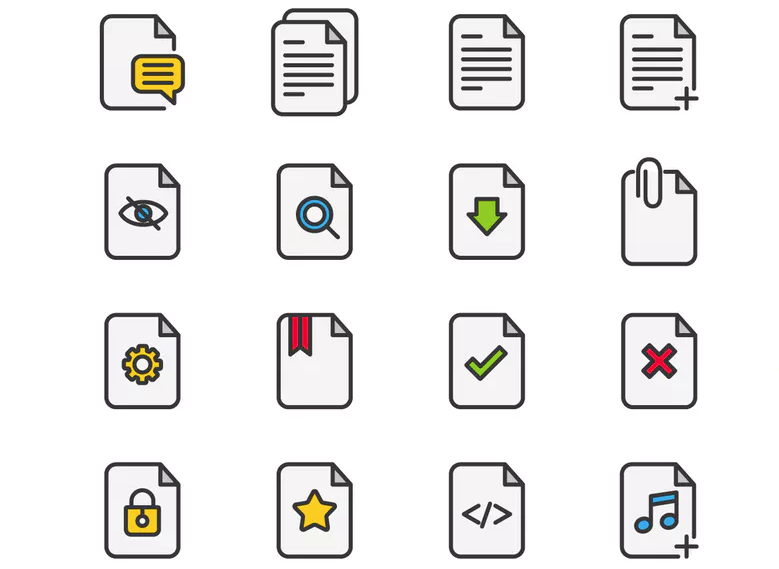 If you’re choosing between various top document management system (DMS) options, there a wide range of features to consider – and more isn’t necessarily better. You should ensure that the document management software on your list does what you need, without the bells and whistles that can inflate price. Finding an easy to use DMS is an important as considering the functionality, because if there is too steep a learning curve to its adoption, it might not get used at all. Implement a simple system that caters for what you need, then once adoption has been successful, if you needs change or grow, you can often either add additional functionality from the same product or software vendor, and if not add complementary specialist systems for your additional needs – which often will provide a better solution. In-built network or online collaboration tools are key components of a good document management system. Collaboration should be inherent in a DMS. The document owner should be able to give access to other users at their discretion (depending on company policies) and with various permissions – known as ‘user access controls’. Depending on your needs, you should be able to restrict access while someone if working on the doc or allow simultaneous editing for live collaboration. A good system will enable tracking of changes with timestamps and marking of changes by each user, as well as the ability to add comments to the content. 3rd party software integration enables documents from the DMS repository to be accessed via other applications. This can save huge amounts of time, allowing your DMS to be a part of your existing technology stack, giving people the ability to work through another application to access documents and update or add to the DMS. This is common in email and office software and will commonly use open standards like WebDAV, ODMA, SOAP and LDAP to balance integration with security and compliance. As with many dynamic, collaborative products, versioning within your DMS, enables the retrieval of older versions and enables you to revert back or branch off from those points. Versioning helps you to see where you started and where you’re headed. This is especially useful for documents that have been around a long time and changed considerably over that period. They can also be great for giving background info to new users. Every modern document management system will have a range of customisable security features. DMS security is particularly important for compliance in highly regulated environments, such as Finance, Healthcare and Law. Timestamping of actions and changes, and encryption come into play here. In summary, finding the best DMS software for your organisation depends on your unique working environment, scale, regulatory framework and culture. Document management software with the widest array of features isn’t necessarily best for you if they go beyond your current and future requirements. Statistically, most IT projects fail, not because of weaknesses in the software or hardware, but because of the implementation process. Relevance to your needs, ease of use and training and support for your users will be the biggest deciding factors in the successful adoption of a new DMS. Alfresco’s secure document management software brings content under control with powerful faceted search, smart folders, versioning &amp; BPM workflow capabilities. Clients include Lafarge, P&V, UK Power Networks and Leica Geosystems. OpenKM is a document management system and record management software that is easy to use and that simplifies your work. A leading document management system, LogicalDOC can help your organisation to better manage business processes and create order from the chaos, allowing you to manage your operations more effectively. A leading business technology product, DocuWare offers cloud and on-premises software for document management, process transformation and workflow automation. Therefore information solutions help companies all around the world to work smarter by connecting people and processes to information. Their software makes it possible to store, manage, process and analyze all kinds of business information throughout your organization. © Good Tech Guide 2018. All rights reserved.